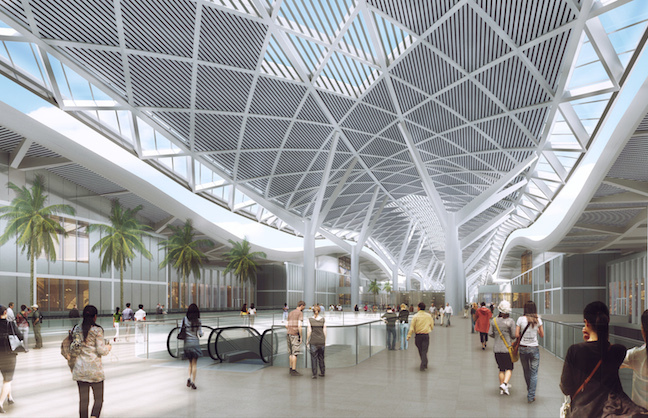 A rendering of the interior of the planned Shenzhen World Exhibition & Convention Center. In its first footprint in China since consulting during the Beijing Olympics, SMG has secured the management contract for Shenzhen World Exhibition & Convention Center, the first phase of which is slated to open in 2019. 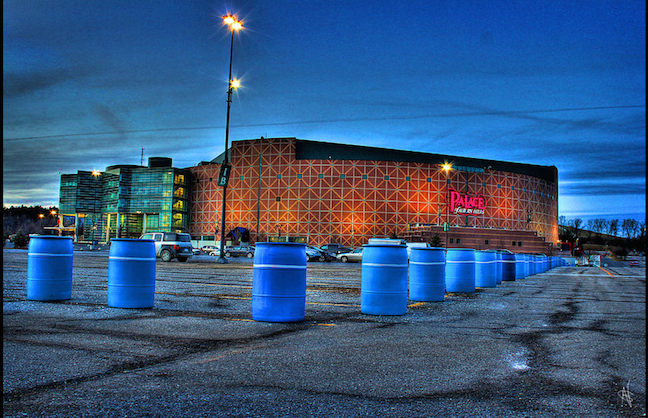 The agreement is a milestone in SMG’s 40-year history in that it is set to become one of the largest convention centers in the world at 4.3 million sq. ft. of exhibition space under roof, noted Gregg Caren, SMG EVP, Convention Center. It will be the company’s new flagship venue in China’s growing trade show market and will be a showcase for expanding SMG’s international business. SMG is working with China Merchants Shekou Holdings (CMSK) and OCT Group, the two Chinese companies that came together to win the bid from the Shenzhen Municipal Government to build the exhibition and convention center. 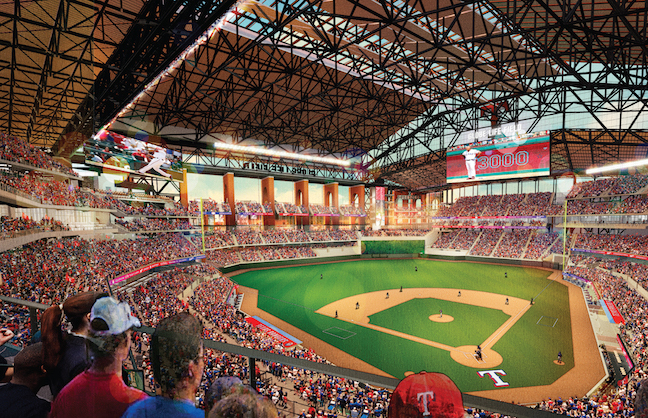 It is the centerpiece of a new Central Business District they are also building, Caren explained. The new venue, which will be located near the Shenzhen International Airport, will anchor a new business and lifestyle district, featuring numerous hotel and commercial projects, including a retail and entertainment complex. The convention center development team is building the entire district, a right they won over three other groups bidding to do so. The design of Shenzhen World calls for 4.3 million square feet of exhibition space and another 500,000 square feet of flexible convention and meeting space. The venue will be roughly twice the size of McCormick Place in Chicago, the largest exhibition and meeting facility in North America. SMG has managed McCormick Place since 2011. The architects on the project are the renowned French firms Valode & Pistre and AUBE. The industry advisor to the Shenzhen government is JWC out of Germany. 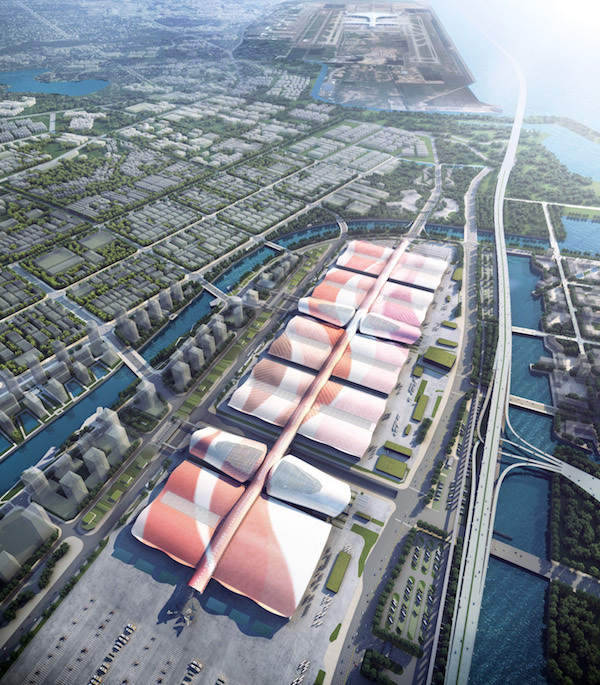 The new Shenzhen Convention Center is part of a $4 billion land development deal. Tracey Short is on the ground in Shenzhen for SMG and is currently staffing SMG’s China Corporate Office there, Caren said. The search for a permanent GM will begin immediately. Caren estimated it will take another six weeks to formalize the memorandum of understanding that currently exists. Short said the management appointment is for a two-year preopening period and a 10-year management term. The group which includes SMG was one of four State-Owned Enterprises (SOE) that bid on the project. Scoring included 25-30 points for the management component, along with points for the overall development plan and financing plan. The project broke ground in September 2016, and the first phase is targeted for completion in the first quarter of 2019.